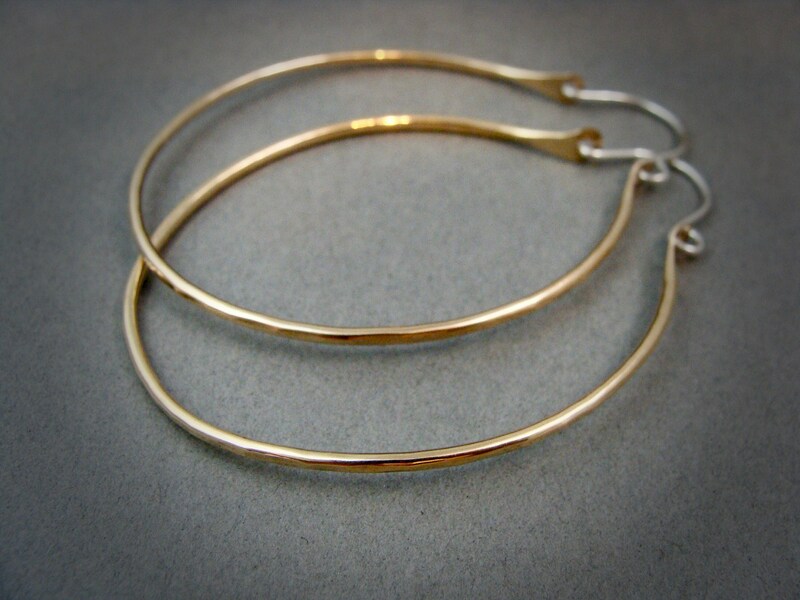 These 14k gold filled hoops have been hand formed into a gentle oval shape. 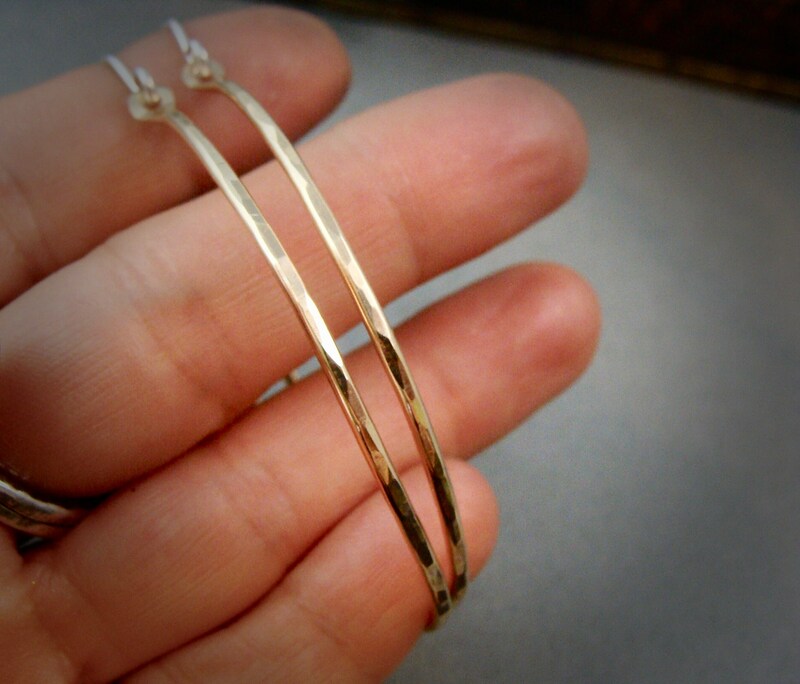 The metal has nice texture that catches and reflects the light. 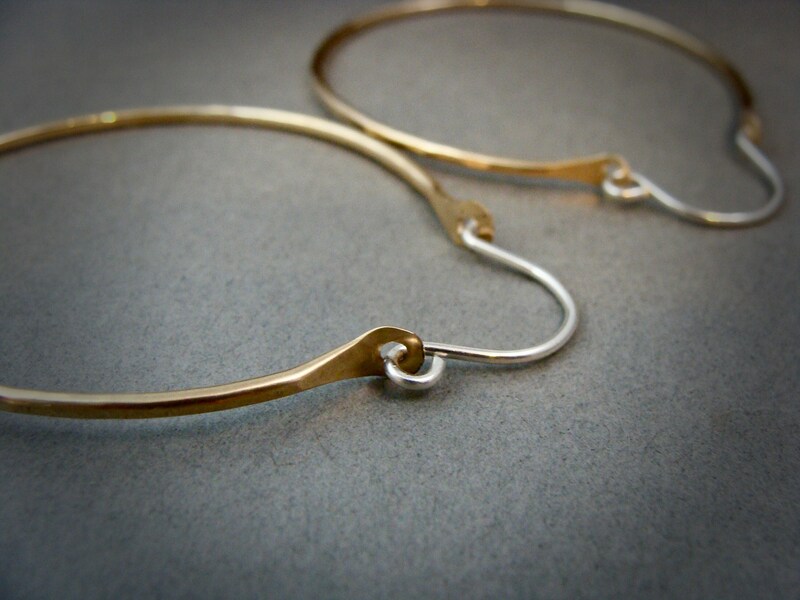 These delicate hoops are on 18 gauge sterling ear wires. 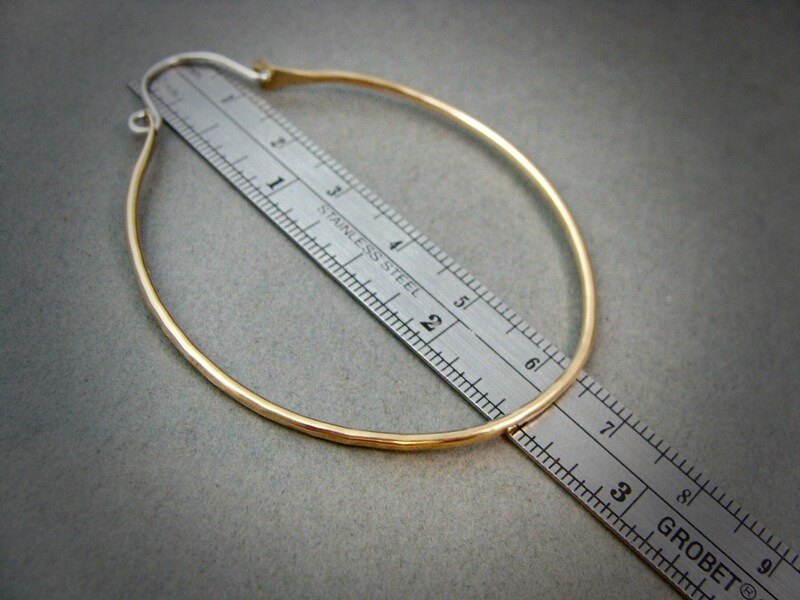 Simple, pretty, and sure to become your everyday faves. 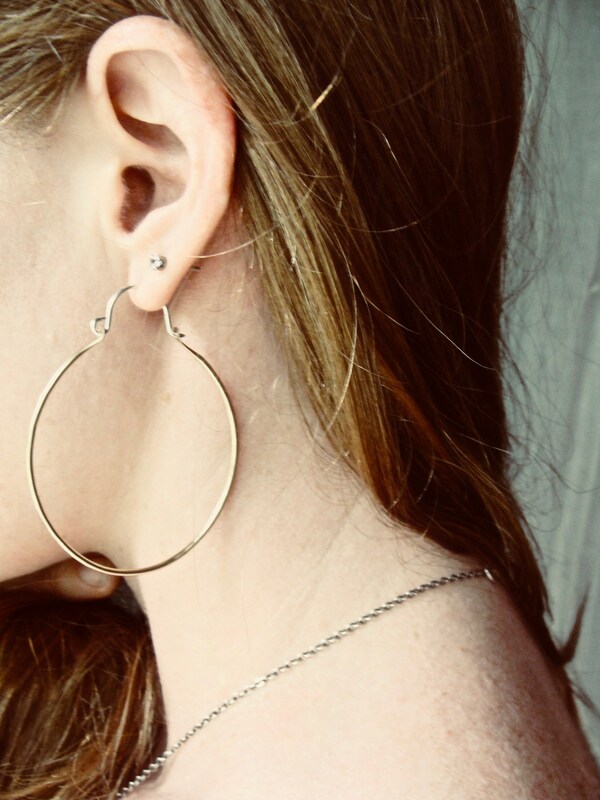 Earrings hang about 2 1/2" from your earlobe. International packages can ONLY be tracked if sent international express. The cost is around $45. USD and may be more for some locations. Please contact me if you'd like international tracking. Thanks!